Slovakia is a small (49,014 km²) landlocked country in Central Europe. The length of the country in a straight line from east to west is 428 kilometres and from north to south it measures 195 kilometres at its longest point and 76 kilometres at its shortest. It shares its borders with Austria (127.2 km) and Hungary (679 km) to the south, Ukraine (98 km) to the east and Poland (597.5 km) and the Czech Republic (267 km) to the north. According to some measuring methodologies, the geographical centre of Europe is located in Slovakia near the municipality of Kremnické Bane. Slovakia is administratively divided into eight self-governing regions. Bratislava is the capital. Almost 60 per cent of the population live in 138 towns and cities. The rest live in 2,883 municipalities. The country features a diverse mixture of lowlands and mountain ranges interrupted by picturesque valleys. The surface elevation rises from the south to the north from the Podunajská nížina (the largest lowland at 10,000 km²) and the Záhorská nížina in the south west and the Východoslovenská nížina in the east. 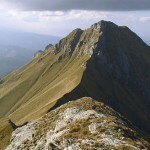 The majority of the territory of Slovakia is covered by the Western Carpathian Mountains, which stretch from the south west along the western and northern border all the way to the east. 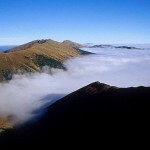 They include the Small Carpathians, White Carpathians, Javorníky, Malá and Velká Fatra and the Low and High Tatras. 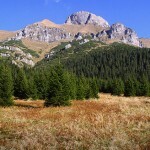 The High Tatras form the smallest European high mountain range (260 km² in Slovakia and 81 km² in Poland). They are characterised by broken relief and an extremely high concentration of natural beauty. In contrast with the Alps, they lack glaciers. Admirers fondly refer to them as the ‘miniature Alps’. 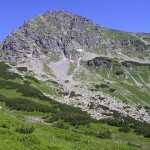 The highest peak of the High Tatras and the entire country is Gerlachovský štít (2,655 metres above sea level). The highest situated municipality in Slovakia, Štrbské Pleso (1,350 metres above sea level) is also located in the High Tatras. The lowest point of the country is Klin nad Bodrogom in Eastern Slovakia (94 metres above sea level), on the border with Hungary. Some mountain ranges (Štiavnické vrchy, Vtáčnik, Poľana in central Slovakia, Vihorlat and Slanské vrchy in the east of the country) are of volcanic origin. Slovakia’s more than 1,200 caves are hidden in the mountains and foothills. Many of them have gorgeous karst formations, and 14 caves are open to the general public. The Demänovský jaskynný systém (system of caves) in the Low Tatras, that stretches more than 30 kilometres, is the longest cave. Demänovská ľadová jaskyňa and Dobšinská ľadová jaskyňa have ice formations. Ochtinská aragonitová jaskyňa (aragonite cave) is truly unique; it is one of only three aragonite caves in the world open to the general public. 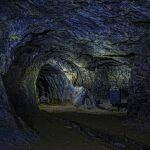 It constitutes a part of the caves of Slovenský kras (the Slovak Carst), which forms one unit with the caves of the Aggtelek Carst in Hungary and are on the UNESCO World Cultural and Natural Heritage List. The Dobšinská ľadová jaskyňa (cave) is also on this list. More than 40 per cent of the territory of Slovakia is situated between the heights of 300 metres up to 750 metres above sea level and another approximately 40 per cent is situated at a height of up to 300 metres above sea level. Almost half of the territory of Slovakia (24,300 km²) is made up of agricultural soil, 14,300 km² is arable soil. The following crops are cultivated here: grain, fodder crops, sugar beet, vegetables and fruits. Forests rich in game cover approximately 20,000 km², i.e., approximately 40 per cent of the territory. Their overall area has grown by one tenth in the past 45 years. 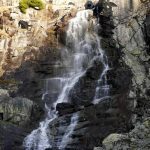 Nine national parks are situated especially in the mountain and foothill areas. 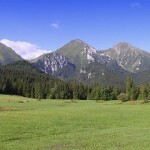 The Tatra National Park (738 km²) and the Low Tatras National Park (728 km²) are the largest. 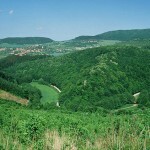 The Bukovské Virgin Forest in the Eastern Carpathians, which is part of the Poloniny National Park, is also on the UNESCO World Cultural and Natural Heritage List. 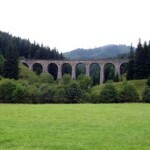 (Another four Slovak locations of cultural significance are also found on this list). 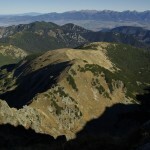 In addition to national parks, there are 35 protected areas in Slovakia. Northern Slovakia forms the border of the European watershed between the Baltic and the Black Sea. The vast majority of water is drained by the Slovak rivers into the Danube River, the largest Central European River, which flows through 153 kilometres of Southwest Slovakia and for the most part forms the borderline with Hungary. The eastern Slovakian streams supply the Tisza River in Hungarian territory, which disembogues into the Danube in Serbia. 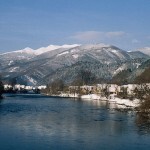 The Váh (406 km), the Hron (298 km) and the Nitra (193 km) are the longest Slovak rivers. 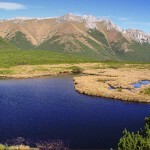 Most of Slovakia’s lakes are of glacial origin. 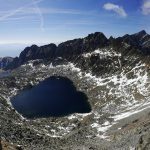 The majority (up to 105) are situated in the High Tatras; Great Hincovo Pleso with an area of 20.08 hectares and a depth of 53 metres is the largest one. Lakes can also be found in the volcanic mountain ranges; Morské oko (Sea Eye) in the Vihorlat mountain range is the largest one. 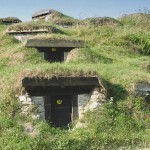 Its area is 13 hectares and is 26 metres at its deepest. Several artificial bodies used for energy production and water-management were created in the second half of the 20th century in Slovakia. The Liptovská Mara (360 million cubic metres of water), Oravská priehrada (346 million cubic metres of water) and Zemplínska Šírava (334 million cubic metres of water) reservoirs are the largest ones. 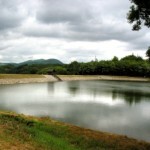 The tank systems of various areas (so called tajchy), built from the 16th to the 18th centuries in the surroundings of Banská Štiavnica for the operation of mining equipment, are unique artificial lakes. There are more than one thousand springs of mineral and thermal mineral waters with various compositions throughout the country. Several of them are therapeutic and have been used for these purposes for several centuries. Seventeen locations with therapeutic waters, high quality medical care and international clientele are officially acknowledged by the state as spa facilities. Some of the most significant are found in the towns of Pieštany, Trenčianske Teplice, Rajecké Teplice and Bardejov. Another four locations are official climatic spas. Despite the fact that there are significant regional and local differences between the average temperatures and the amount of rainfall and sunshine, Slovakia is situated on the border between continental and oceanic climates.